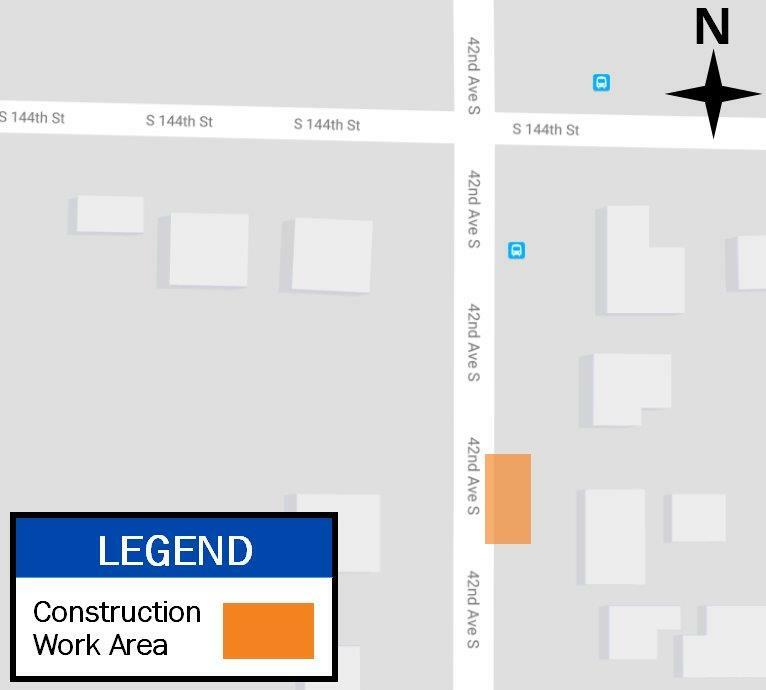 In late October 2017, a Seattle City Light contractor will be working along 42nd Avenue South in Tukwila, WA to repair existing electrical conduits and install new vaults. This work will enhance the electrical system’s reliability and reduce the likelihood of unplanned power outages. Map of construction wok area on 42nd Avenue South in Tukwila. 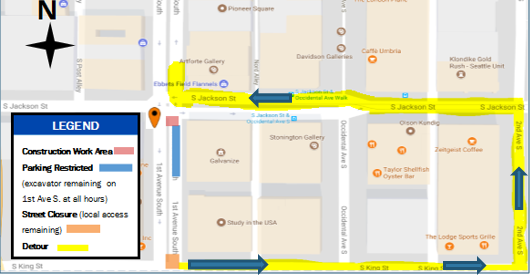 Contracted crews will be working on the east side of the sidewalk on 42nd Avenue South to complete these repairs, which may cause some noise due to heavy equipment. However, the contractor will adhere to the City of Tukwila’s noise ordinance. The contractor will require a road closure (with local access) to set the electrical vault with a crane. Access to most driveways will be maintained at all times. Others, near the work area will have temporary driveways and routed access. In order for crews to do their work safely, maintenance power outages are required. Contracted crews will notify affected customers at least 24 hours in advance of any outage. The notifications will specify the date, time and duration of the outages. This project is tentative to start in late October 2017. Construction will last approximately two months. Daily work hours are from Monday to Friday, 7:30 a.m. to 5 p.m., with possible weekend work. Any scheduled weekend work will be coordinated with the City of Tukwila. For more information, please contact Brandon Miller, Resident Engineer at (206) 406-0412 or brandon.miller@seattle.gov. 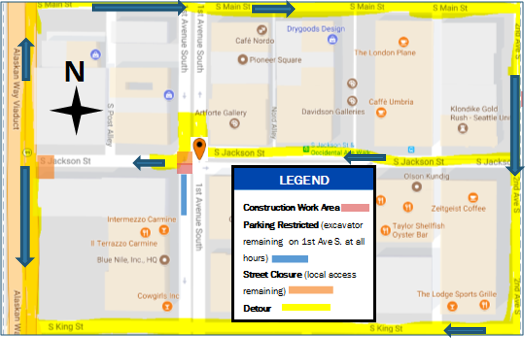 Visit Seattle City Light’s construction website for the latest updates on this project: http://www.seattle.gov/light/atwork/release.asp?RN=391. A Seattle City Light contractor recently completed a year long project at the Skagit Hydroelectric Project to replace 52 deteriorating, wooden saddles that support the Newhalem Penstock. The old wooden saddles were replaced with new, cast-in-place concrete saddles that will provide structural support so that the penstock will not collapse. Original wooden saddles (left image) that support the Newhalem Penstock were replaced with new, concrete saddles (right image). The Newhalem Penstock is located on the south bank of the Skagit River, in the town of Newhalem, WA. The project is within the Ross Lake National Recreation Area, which is part of the North Cascades National Park Complex. The penstock is a pipe that provides water from the creek to the hydro turbines that are located inside the historical Newhalem Powerhouse. The water turns the turbines, which produces electricity for City Light. Seattle City Light thanks all campground visitors for their patience during the successful completion of this project. Starting in early August 2017, Seattle City Light will be supporting enhanced cellular and data services by upgrading electronic equipment to utility poles throughout the public right-of-way of the SODO neighborhood. These projects are tentative to start in early August 2017. Construction is expected to last approximately six weeks.